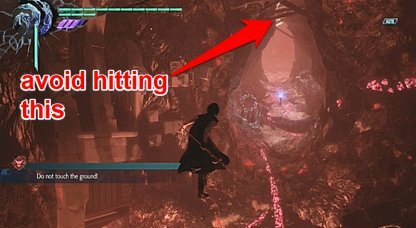 Learn how to clear Devil May Cry 5's (DMC 5) Secret Mission 10 found in Mission 14: Diverging Point: V! This includes where to find the secret mission and how to clear it. 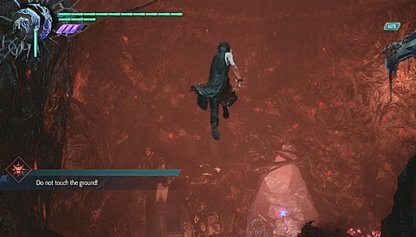 Make sure to do a running jump when you jump from the ledge to ensure you have enough momentum to carry you to the other side. Using V's Checkmate move (press O) will maintain your forward momentum a bit. Before you start the next action, make sure to avoid hitting the ceiling as this will stop any of your forward movement. Make sure to execute moves below it. 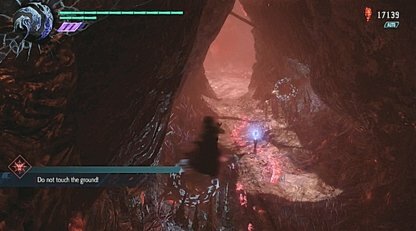 Use the Gambit move (press R1 + O) to cover a bigger distance once inside the crevice. Make sure that you land directly on top of the Blue Orb. Landing near it without touching the orb will cause you to fail the secret mission. 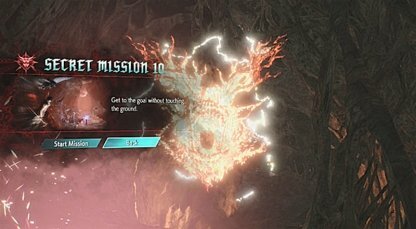 Secret Mission 10 can be found in Mission 14. 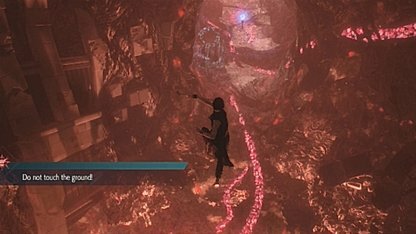 It will be accessible during the point in the mission after you've defeated the three copies of Cavaliere Angelo, Artemis, and Nightmare. 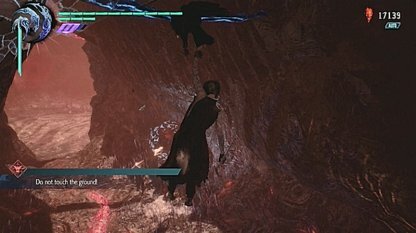 After defeating the three bosses, head toward the dead end at the end of the hallway with the yellow light. There should be a blood clot found there. 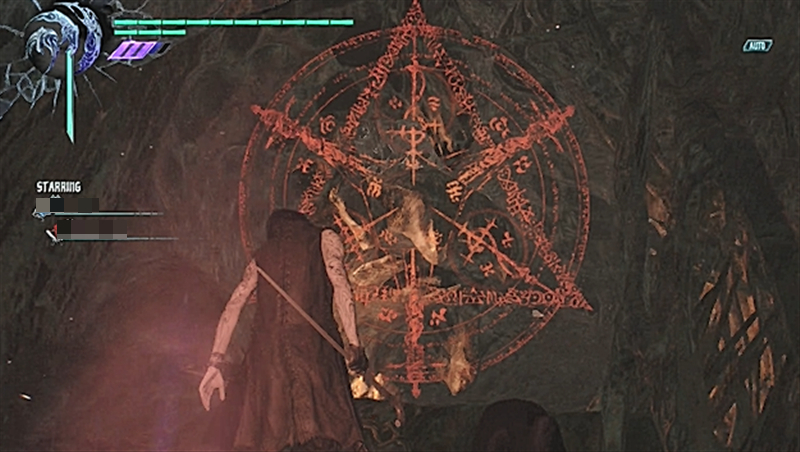 Destroy it to trigger a cutscene. After destroying the blood clot, move forward along the path that the Blood Clot was blocking. The Secret Mission will be waiting there for you. Look at the ground for a red light and step on it. 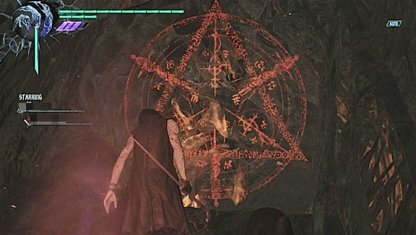 When on top of it, look up and look for circle with symbols to play the Secret Mission.